Progressive Supranuclear Palsy (PSP) is a neurodegenerative disease that at onset can resemble Idiopathic Parkisnon’s disease. In PSP, however, falls are frequently an early symptom and dysphagia (swallowing difficulty) typically occurs early or by mid-stage disease. Aspiration pneumonia is cited as the most common cause of death. Cough is a particularly important protective mechanism that can become deficient or lacking as PSP progresses and the ability of the body to defend against episodes of aspiration is reduced, increasing the risk of lung infection. Japanese researchers found that PSP patients with falls and early cognitive decline were at high risk for development of pneumonia. 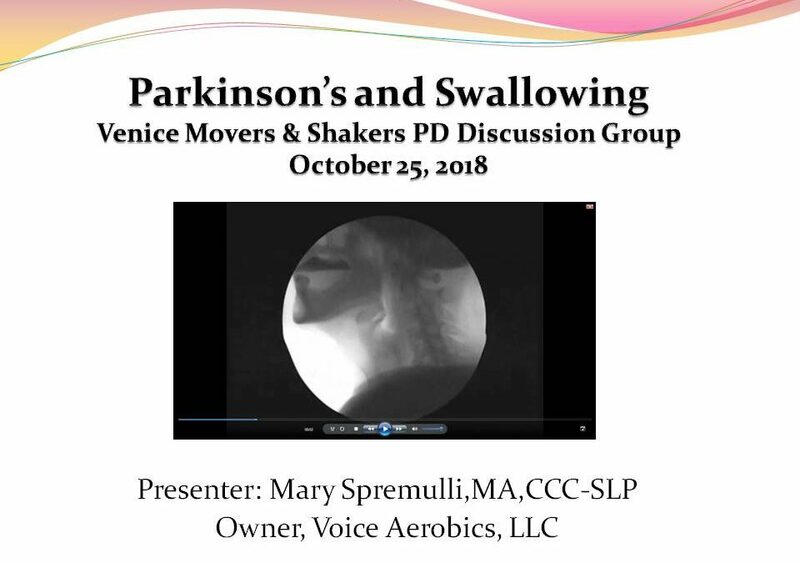 It has also been reported that individuals with a diagnosis of PSP are often more sensitive to the changes in swallowing function then persons with Parkinson’s disease, so, screening for dysphagia on each office visit with a neurologist or primary care physician, and early referral to a speech-language pathologist might be the best preventative strategy. 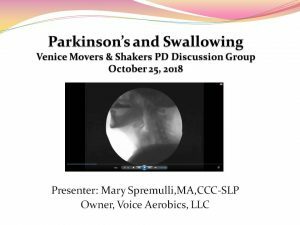 Join Mary Spremulli, MA,CCC-SLP and the Venice Movers and Shakers for a lecture and discussion about swallowing problems and their management for persons with Parkinson’s disease and related disorders. For many years, my dear,dear friend (now deceased), Kate Kelsall wrote a blog: Shake, Rattle, and Roll. As someone who lived with Parkinson’s disease for nearly 20 years, Kate’s take off on the Elvis Presley song, was not used as any disrespect for someone living with PD, but rather, an example of her humor, which was an important asset when living with the disease for so long. Like Kate, I feel that you and other people with Parkinson’s disease have the right to characterize your experience in the way that makes sense for you, even if a few others fail to perceive your humor or experience in the same way. I hope you invite me back again next year for some more stimulating discussion. Mary thanks for your outstanding presentation at our meeting last week. Great job! Movers & Shakers was a name proposed by members of our group. I am sorry that a responder finds it offensive. I will raise the issue at a future meeting. Thank you for your email. Actually, the name “Movers and Shakers” is the group name and this group is run and facilitated by persons with Parkinson’s. I will share your comment with the group facilitator and he might share how they arrived at the name,I suspect, trying perhaps to find some humor in living with PD. Hello, thank you for your comment. Depending on your symptoms (speech and/or swallowing) a speech-language pathologist can provide treatment to address both issues. There are some published studies indicating that LSVT LOUD which was developed for persons with Parkinson’s may also be of some benefit for eprsons with speech and voice impairment from PSP. There are some device interventions, such as SpeechVive which may also be of benefit for speech. A swallowing evaluation, if not yet completed would be important to obtain a baseline, and then an exercise/treatment program can be developed to reduce or minimize impact of any symptoms. If you have not yet had a visit with a speech-language pathologist knowledgeable about PSP, that would be my strong suggestions, and best of luck. UNFORUNATELY I DON’T LIVE IN FLORIDA ANYMORE. 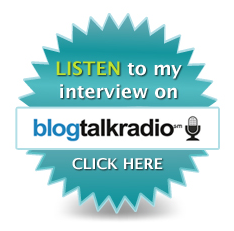 HOWEVER I HAVE PSP AND I WOULD LIKE TO KNOW MORE ABOUT HOW A SPEECH PATHOLOGIST CAN HELP ME . I find the “movers and shakers” pun offensive; it really detracts from your message.